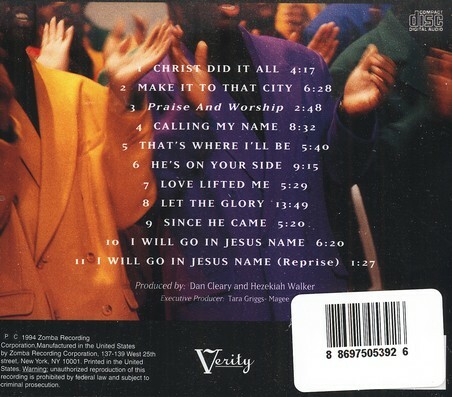 This CD is full of God's sprit from the beginning until the end. It opens up with the Jazzy but churchy song Christ Did It All. Min. Kirvy Brown then takes the mike and makes everyone wants to make it to that city. Calling My name is a very emotional ballad led by Timothy Figruoe. It shows that even though we may fall millions of times, God is still calling and welcoming us back home. Sis. Monique Walker did no waste no time letting the anoiting fall on her on the song Let the Glory which she led previously on the Focus on Glory album. Even though the song is 13 minutes long, she does note bore you but when she is through singing that song, it will make you want to get up and shout. 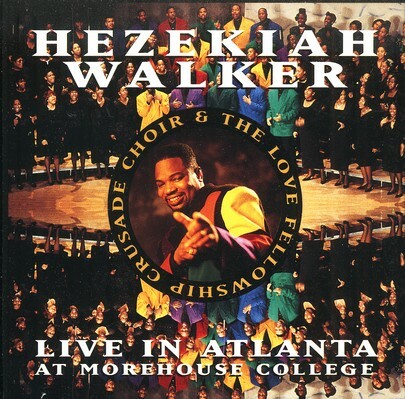 If you are a true Hezikiah Walker fan, this is the album for you.